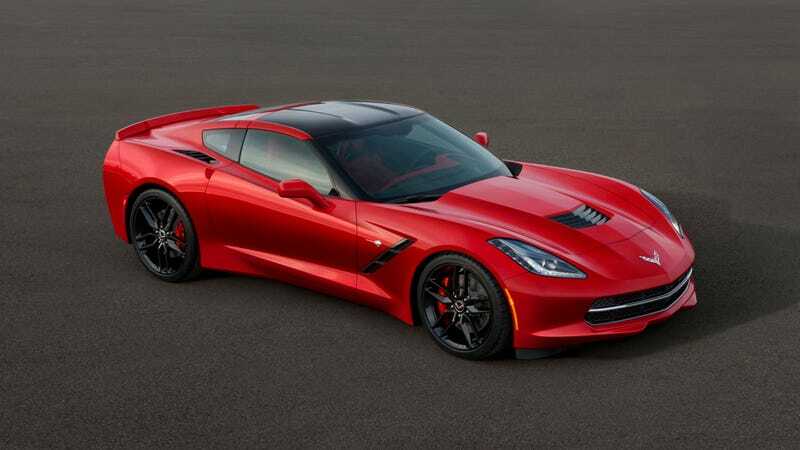 We knew that the new 2014 Corvette Stingray was going to have big horsepower numbers, but we didn't know they'd be this big. We're talking 455 horsepower and 460 pound-feet of torque out of its 6.2L V8 engine, all connected to the wheels by a transmission with active rev-match technology. That's definitely a nice little bump from the 450/450 numbers that General Motors originally estimated. What's perhaps even more impressive, though, is that GM says that expect to improve upon the previous-generation C6 Corvette's 26 MPG on the highway. When you consider that the new Corvette should only set you back about $52k, suddenly it really seems to look like a serious bargain for some serious hoonage potential. Then again, that's what the Corvette's always been about. See the full spec sheet from GM here. H/T to the Corvette7.com forum!